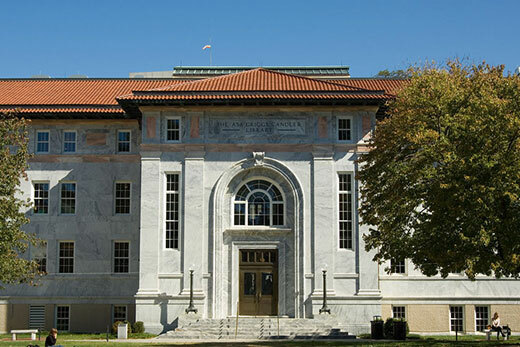 Emory College of Arts and Sciences recently announced new standards for tenure that will require excellence in both teaching and research for assistant professors seeking to be promoted to associate professors. The changes are the result of a major goal identified in Emory College’s strategic planning process, which called on the College to “raise the expectations for the awarding of tenure to levels appropriate for our ambitions as a College.” The previous standard required that assistant professors seeking tenure were required to demonstrate excellence in one category, and be at least “very good” in the other. Working with the faculty, then-Dean Robin Forman created the current draft of the College’s strategic plan. Changing and implementing the tenure standards was identified as a top priority by Elliott shortly after his appointment as interim dean in August. 1. The revised guidelines for tenure and promotion in Emory College of Arts and Sciences will become effective on Aug. 1, 2017. The new guidelines can be found here. These guidelines also include a new memorandum by the College Tenure and Promotion Committee on the evaluation of teaching. 2. Assistant professors who have completed their pre-tenure review (often called the “fourth-year review”) before Aug. 1, 2017, will be reviewed for promotion to the rank of associate professor, with tenure, under the current guidelines. In carrying out the revision of the Tenure and Promotion standards, Elliott consulted with numerous individual faculty and department chairs, the College Senate and the Tenure and Promotion Committee. Emory College faculty also discussed the changes in meetings throughout the semester. “I believe that this path forward minimizes the cost of delay while allowing assistant professors the opportunity to receive careful advice about how they should prepare for the tenure review,” Elliott stated in a letter to College faculty Nov. 10. Carla Freeman, senior associate dean for faculty, will hold open discussions and workshops in the coming months for assistant professors about the significance of these changes to the tenure and promotion standards, and how best to meet the standards of excellence expected by their departments, Emory College and the university. The first Assistant Professor Workshop on Tenure will be held 3-4:30 p.m., Friday, Dec. 9, in Atwood Hall, Room 260.